The Rasberry Pi can be a great computer for many businesses, schools and individuals. The Rasberry Pi provides a portable computing solution for a low price. It has all the features of a full-sized computer on a single chip. While the Rasberry Pi provides limited processing power, it’s can be beneficial for many applications. The Raspberry Pi can be a great tool for teaching students how to program. Since the Rasberry Pi uses basic programming languages, it can be a useful way to introduce students to the world of programming. 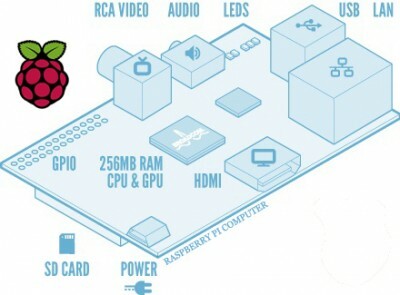 In addition, the Rasberry Pi can be used by students to build gaming devices. The the flash memory on the Pi can be reprogrammed, it can be a great way for students to practice their skills when building a gaming device. While the Raspberry Pi may have limitations for the number of concurrent users, it can be used as a basic web server. This will allow people to access images and web pages stored on the Pi. This can be a valuable tool for people in developing nations. For people with limited budgets, running a web server through the Pi can be a great way to save money. Some of the best uses for the Raspberry Pi are in developing nations. Modern technology powers education and business in many parts of the developed world. Without access to the internet, it can be impossible for people to learn and improve themselves. Through the use of the Raspberry Pi, an internet connection and a monitor, it’s possible to build a global network for people in developing nations. It’s also possible to incorporate the Raspberry Pi into basic robots and mobile applications. This can be a great way to share technology with people around the globe in a unique way. What are you planning to do with your Raspberry Pi?